You've just stepped onto the campus of St. Ann School. At first glance, it's easy to see the church is beautiful, the grounds well-manicured and the people are friendly. But stay awhile and you'll find that it's not just what you can see, but what you will feel after a visit to St. Ann School that makes it special. Feel the energy and enthusiasm when you see hundreds of smiling children enter the school each morning. You’ll have that same feeling when you see your child participate in events like the annual Christmas concert or a CYM basketball game. From early morning to late in the evening, students and their families, and staff and faculty bring the energy and enthusiasm to this little corner in the Highlands. Feel the rich sense of history when you look at the beautiful Gothic-style church where people have been coming together for more than one hundred years. It’s this strong parish community that has supported St. Ann School and helped generations of families receive a Catholic education. Feel confident that your child will be ready for the future. It’s not just the interactive learning opportunities or the SMART boards in every classroom. It’s also the experiences that will make your child a well-rounded student. Spanish-language classes, art, music and technology classes begin in pre-kindergarten and continue through eighth grade. 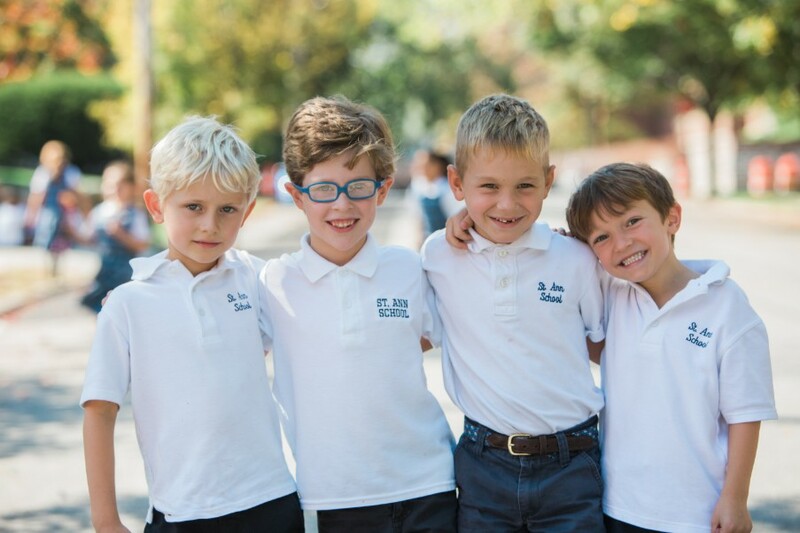 Students who graduate from St. Ann School are well-prepared for high schools including Archmere Academy, Salesianum School, Ursuline Academy, Padua Academy, Tower Hill School and The Charter School of Wilmington. It's not just what you see, it's what you feel. Call us today to schedule your visit!